Melissa Carter, NP, has joined St. Peter’s Internal Medicine, a practice of St. Peter’s Health Partners Medical Associates. 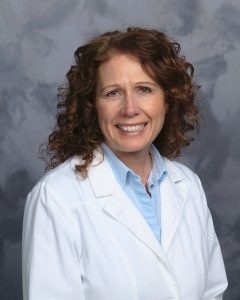 A board-certified family nurse practitioner, Carter practices primary care for adults. She previously worked as a family nurse practitioner with Ellis Medicine in Schenectady, New York. Carter received her master’s degree from the Sage Graduate School in Troy, New York, and her bachelor’s degree from the Russell Sage College, also in Troy. Her professional interests include all aspects of primary care. St. Peter’s Internal Medicine is welcoming new patients at its office at 147 Hoosick Street in Troy. Click here to make an appointment, or call the office at 518-268-5370.